By Kidz Engineering 101, Inc. 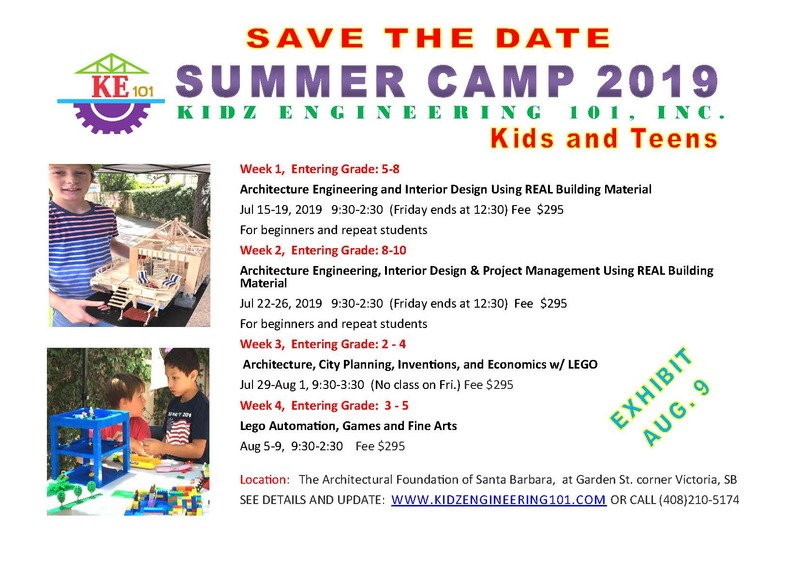 The Architectural Foundation of Santa Barbara and Kidz Engineering 101, Inc. both share the same mission: to enrich our community awareness of the built environment by encouraging children to learn architecture. 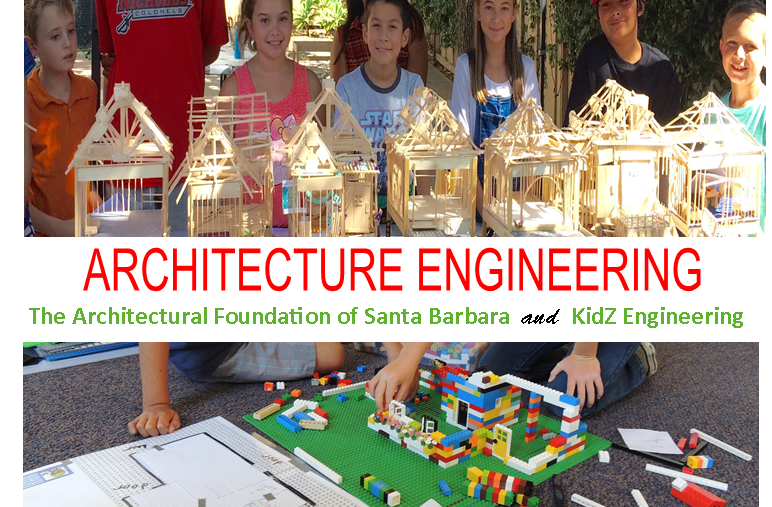 Kidz Engineering 101, Inc. (KE101), a nonprofit corporation classified as a public charity under the IRS code (501)(c)3, provides a fun program for children in grade levels 2nd through 12th that focuses on the architecture and engineering of the built environment by creating projects using LEGO and real building material. It provides children with workshops during after-school programs, homeschool enrichment classes and summer camps that enlighten them with the real-world applications of science, technology, engineering, arts and math (STEAM) that they learn at school every day. Learning the importance of STEAM subjects and their real-world applications bring excitement to their daily school lives. Study of Architecture offers the most diverse subjects that opens a gateway to many career options, be it in architecture, engineering, design, building, construction contract administration, and accounting, or business management among a few. The industry involves several engineering disciplines and trades. By giving them many options to choose from at an early age, chances are that your child will find a career path that has prepared them early with the basic foundation for a good start. Let’s get them started early!